Jack MacDonald, a Philpott Instructor in the summer program, spent the fall semester at an academy in South Carolina but the Philpott charity was on his mind. 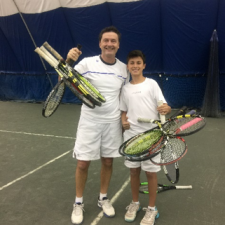 He reached out to his tennis playing friends and asked them to donate their gently used tennis racquets to the Philpott program. 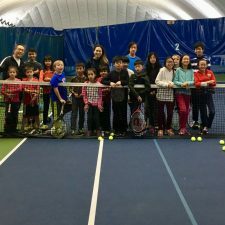 These donated racquets will be given to the Philpott campers this upcoming summer, enabling the campers to own their racquet and stay and play when the tennis lessons end. Many thanks Jack for your thoughtful generosity.